Moonee Valley Racecourse is best known as the home of the Cox Plate, which is regarded as the number one weight for age race in Australia. The "Valley" is located 7km from the CBD of Melbourne. Set in a natural amphitheatre, the Moonee Valley track is one of the best settings for night-racing in Australia. The Valley is a tight turning circuit of only 1,805m in circumference, with a home straight of 173m. There is a significant camber in the track and when the rail is the true position, this camber can prove an advantage for those runners making up ground off the fence as they turn into the straight. With the rail in the true position, all runners are afforded an even chance. However, as the rail moves out beyond the 4m position, there becomes a distinct advantage to on-pace runners who can find the rail. A dry surface will often produce a fair track. The rail position plays the most significant part in offering a true racing surface at the Valley. Like a Good track, a soft rating provides a true racing surface. The rail position plays the most significant part in producing a fair racing track at the Valley. The sand-based turf provides the best draining surface in Victoria. Even after consistant rainfall, the track is often rated in the Good to Soft range. On the odd occasion that the track gets into the Heavy range, off the rail provides the best racing surface. 1000m – Jumping from a chute near the second turn, runners head down a straight that links with the course proper, to head directly into the final turn. Barriers are of little significance due to the 400m diagonal straight run from the barriers. 1200m – Jumping from a chute that leads into the back straight, runners travel 300m before reaching the first turn. On exit of the first turn, runners have only 200m before negotiating the final turn. Inside barriers are an advantage from this start point. 1600m – Jumping from the course proper, runners have just under 400m until they encounter the first or three turns. Barriers hold little to no importance. 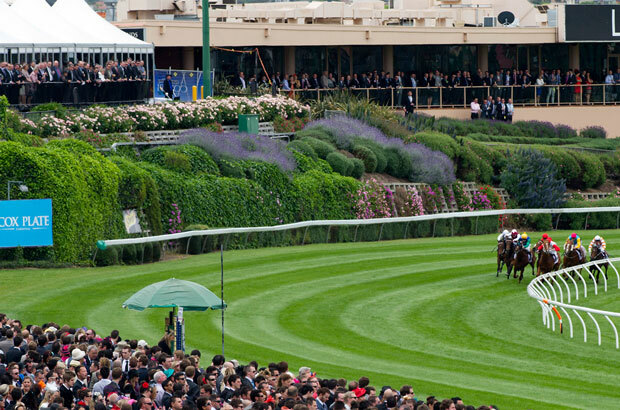 2040m – The famous Cox Plate starting point offers runners 200m before hitting the first turn. Runners drawn inside will have an opportunity to secure a better position in the run. 2600m – With a 400m run to the first of five turns, barriers play no significance. 3000m – Starting in the 1200m chute, barriers offer no advantage over this distance. March 24th – Group 1’s: William Reid Stakes. Racing was on a Good 3 surface, with the rail true. The track played fair with runners coming on and off the pace throughout the night. September 30th – Group 1’s: Moir Stakes. Racing was on a Good 4 surface, with the rail true. Off the rail and off-pace was the place to be, with the vast majority of winners following that pattern. October 21st – Group 1’s: Manikato Stakes. Racing was on a Soft 5 surface, with the rail true. The track favoured on-pace runners and those who could find the rails in the run. October 22nd – Group 1’s: Cox Plate. Racing was on a Soft 5 surface, with the rail true. The track favoured back-markers. Off the rail in the run was the place to be given it was the second meeting in two days. September 29th – Group 1’s: Moir Stakes. Racing was on a Good 4 surface, with the rail out 4m. The track favoured on-pace runners and those who could find the rails in the run. October 27th – Group 1’s: Manikato Stakes. Racing was on a Good 3 surface, with the rail true. The track favoured on-pace runners and those who could find the rails in the run. October 28th – Group 1’s: Cox Plate. The track played fair with runners coming on and off the pace throughout the day.